A recent blog by Tom H (@GeographyTom9) on Why Subject Knowledge Matters made me think about how we treat teacher subject knowledge in our profession. I’m not convinced we give it the attention it deserves. Tom points out that subject knowledge adds texture to a lesson – it gives the details. It varies hugely by subject, but Geography is a discipline made of connections. You never quite know what knowledge might be relevant to a lesson until something comes up. Your knowledge needs to not only be deep but wide. What seems somewhat baffling is that when I think over the hours and hours of CPD I have had over 14 years of teaching it has been on these less significant aspects of my job and not subject knowledge. In fact, until teaching in my current school over the last couple of years, I am struggling to recall any time that was dedicated to improving my own subject knowledge. It turns out that I am not alone. Do you have any dedicated CPD time to work on your subject knowledge? Why have we neglected subject knowledge? I suspect there are a few reasons that teacher subject knowledge has been neglected. Firstly, the idea of teachers being experts in their subject has been unfashionable. 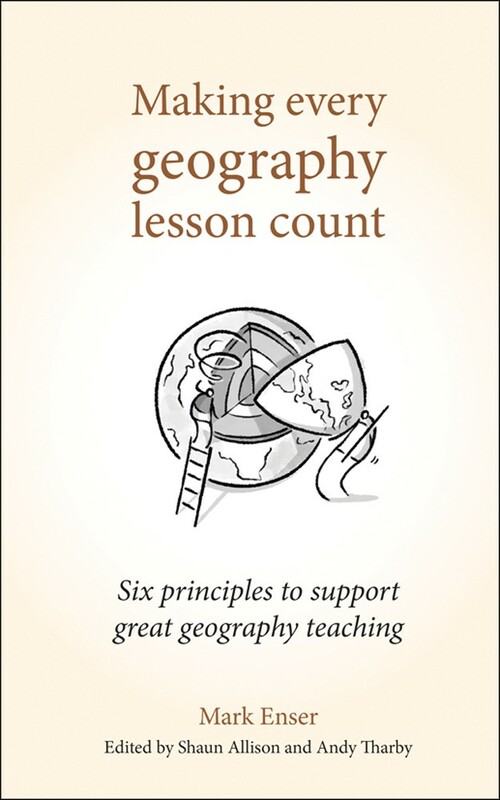 When I started teaching I was often told that I wasn’t a geography teacher, just a teacher. I was also told that my job wasn’t to impart knowledge but to guide pupils towards discovering and constructing knowledge themselves. If you accept this then you don’t need to develop a teacher’s knowledge. We also tend to assume that as a teacher has a degree in their subject (usually) their subject knowledge is fine. However, degree’s can be rather narrow in their range whereas school subjects tend to be very broad. Subjects are also already changing. Our understanding of geography has changed dramatically since I was at university and even since I trained to teach. A second possible reason is that CPD has usually been in the hands of a senior leader and delivered to the whole staff. This model of CPD doesn’t allow for a more personalised approach where different departments receive different training. When outside training has been brought in it is also far cheaper for one person to work with a whole staff body than for each department to have someone working with them on their own domain. This model of CPD also tends to mean it focuses on the perceived need of the school – and this perception comes from senior leadership who by the nature of their job are going to be less of departmental needs and instead focus on areas of their own whole school responsibility. Our focus in education has been less on what we teach and more on how we teach – the curriculum has taken a back seat to general pedagogy and CPD has tended to mirror this focus. The new Geography GCSE and A Level courses are much more demanding in terms of the level of subject knowledge needed. We don’t know what we don’t know. A big problem with addressing weaknesses in teacher subject knowledge is that we don’t really want to admit that it exists. The Dunning-Kruger Effect suggests a tendency to over-estimate our expertise. This is certainly something I have experienced working with trainee teachers who often arrive to their placement clutching their subject audit indicating they feel secure in their subject knowledge – right until they start teaching it. There have been some interesting responses to the poll above. When I asked a follow up question about how schools can address the problem most people suggested giving more time to departments to run their own CPD. Whilst this is a great start, it doesn’t in and of itself mean there will be more time on subject knowledge. A huge amount of subject CPD time gets spent on planning schemes of work, developing assessments and, sadly, on admin. There needs to be a real change in the school culture that recognises the importance of teachers staying on top of their subject knowledge. Once we accept this importance there are a few things we could do. Carry out an honest subject knowledge audit. Test it by completing A Level exam papers and checking each other’s work and looking at it against the mark scheme. Be aware of the gaps in your knowledge when you are teaching and set aside time in department meetings to address these gaps. Work as a subject hub across local schools to share the cost of bringing in subject specific training for CPD sessions. This works best if there is a local network of schools who share INSET days. Make use of subject associations. There are some excellent articles in Teaching Geography on the science of plate tectonics that address the misconceptions still often taught, and believed, by teachers. No more convection currents or earthquakes caused by “plates grinding past each other”. Time needs to be given in department meetings to read these articles and discuss them. If we value it we need to give it time. Teach each other. In our next department CPD session we will be teaching each other something connected to the new A Level specification. I’m looking forward to talking about the Gaia Hypothesis and learning about Sense of Place. A teacher needs an excellent subject knowledge and an excellent ability to communicate this knowledge in a meaningful way to young people. Whilst we have focused on the latter we have ignored the former. CPD has tended to focus on generic pedagogy because it is easy to control and easy to develop to a whole school. It is also highly visible and meets the needs of the people who are in charge of CPD. Once we recognise the need for change we can set aside time to read and share our expertise. Solving this problem is fairly simple but it will need leaders of all levels to free up time and when school’s are under pressure to justify every second this isn’t easy.